iTunes is a proprietary digital media player application, used for playing and organizing digital music and video files. The application is also an interface to manage the contents on Apple's iOS devices (iPhone, iPad, iPod touch). Please specify when you are using iTunes on a Windows computer, otherwise Mac will be assumed. iTunes can connect to the iTunes Store to purchase and download music, music videos, television shows, audiobooks, podcasts, movies and movie rentals (not available in all countries), and ringtones (only available on iPhone and iPod Touch 4th Generation). Till version 12.6.3, it also featured iOS App Store which could be used to purchase and download apps for iOS devices. iTunes runs on both Mac and Windows computers. Both are explicitly on-topic here, but if you are asking a question about Windows, please make sure you mark it as such or else you may get a Mac-specific answer. 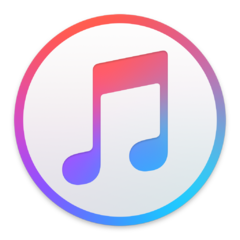 iTunes was introduced by Apple Inc. on January 9, 2001. The current latest version is 12.9, is available as a free download for Mac OS X 10.10 Yosemite/Windows 7 or later on Apple's website.